When visiting a business, most individuals expect that their best interests and safety are a top concern. Unfortunately this is not always the case. The negligence of business owners and employees can lead to a variety of injuries, including permanent injuries. An experienced, thorough attorney can advocate for your rights while aggressively pursuing your best interests in court. At Chambers & Noronha, we prepare each of our premises liability cases for trial. California lawyers and insurance companies know our firm by name. We have a strong reputation as trial lawyers and our opponents know that we prepare our cases for litigation in an effort to maximize the benefit to our clients. We work closely with accident reconstructionists, doctors and economists as we help our clients prepare for the best outcome possible. 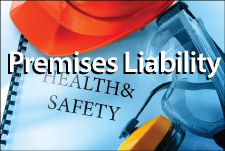 We take a tactical approach to premises liability cases and litigate thoroughly. We will carefully analyze the situation that led to your accident in an effort to establish liability. This can be the most challenging element of a case for an inexperienced attorney. For our legal professionals, however, it comes as second nature. We make an investment on behalf of our clients so they can proceed with confidence. We will not charge any fees until or unless we obtain compensation for you. To schedule your free initial consultation with one of our Santa Ana premises liability lawyers, please email us or call 714-558-1400.